Hi! My last one for this game on Kookyrabbit. 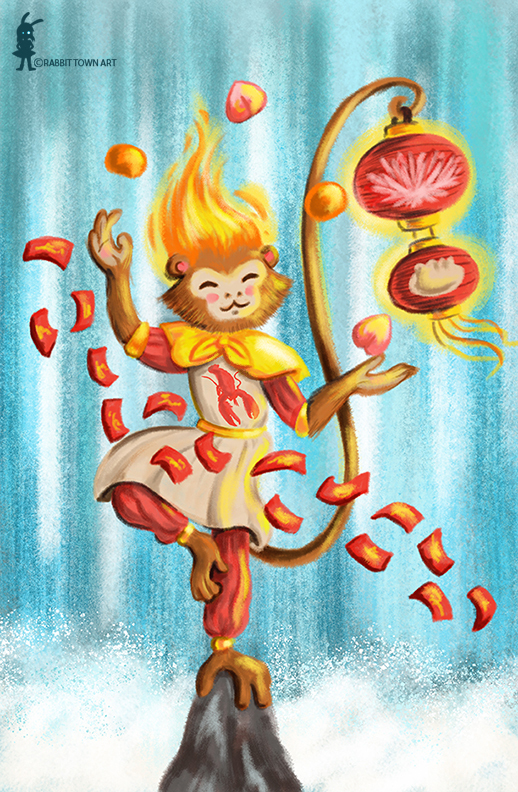 A lot of fun with the Chinese New Year theme for this game. Another dull day since I was just working and doing this drawing. I had a tough time today sorting out an illustration for my second book. Going out for dinner tonight. Looking forward to it!